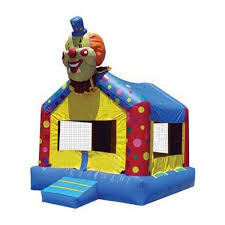 Amazing 15' x 15' Clown Designed Bounce House!!!!!! This fun themed house wil lbring hours of fun & smiles to all who enter! Very colorful & perfect for any outing!